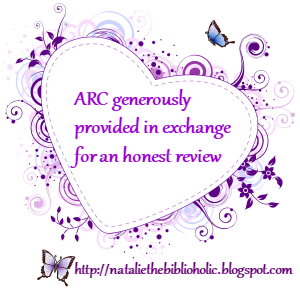 Review: Heartless by Michelle Horst | The Biblioholic ~ Read more. Sleep less. Don’t go looking at my rating thinking I didn’t like the book. I did. Honestly. Who doesn’t enjoy a good enemies-to-lovers trope? I sure as heck do. And it may be the case that it’s just me and there really was no problem with this story, but I didn’t love this one. I felt like I was told about the Screw Crew (yeah, that’s really what these men called themselves) and I was supposed to love them despite it all. Despite the fact that they wore their whoring ways as a badge of honor. Despite the fact that girls were clamoring to add themselves to the ‘screw list’. Despite the fact that a wager was placed on who would be able to bed the heroine. Then I was supposed to fall for and feel for the heroine because she lost her parents at such a tender age and was responsible for the upbringing of her younger sister. But not really because a kind woman named Sue took on that responsibility while she was free to venture to college. And it wasn’t like she was raking in the dough to really help out. And her plan to create a better life for her sister didn’t seem well planned. But I digress. Yes, I felt sympathy. Yes, I tried to be understanding. No, I didn’t really like her. And yes, I felt some type of way. No. Not really. Call me cold but I really wasn’t moved. So I’m subjected to the cruel attitude and mean words the hero, Carter, throws at Della while they’re in college. I guess that was supposed to show me how heartless he was. I wasn’t very convinced. Especially because not too long after their many head-to-head, foot-to-mouth arguments, he’d be driving himself crazy thinking about her. Talking about her being under his skin. Hmmm… but your ‘heartless’ though?! It was a real schoolyard ‘pull her hair to show her you like her’ type of deal. I guess it could be considered cute. Okay, so fast forward four years after Carter and Della have a one-night stand. Kinda predictable. I swear, I could tell you how this story would go without even reading it. However, this predictability is the biggest reason why I enjoyed this book so much. Who could ever turn away from cute kids? Shoot, cute kids can save a story sometimes, I tell ya. I must admit that with this plot device, Carter became immensely appealing and I started to really care for the fellow. Even the little twist towards the end that the author inserted to liven things up was actually a pleasure to read. I only wish that sort of entertainment was felt throughout the story instead of when I’ve basically made it to the finish line. So, again, I enjoyed the story. I think it was more of a ME thing, not an everyone else thing. So, as always, take my words with a grain of salt. I’ve read other books by this author that I’ve loved (i.e. Predator) and this story in no way is going to stop me from reading future books from her. I think the chakra that drives my reading was off or something.